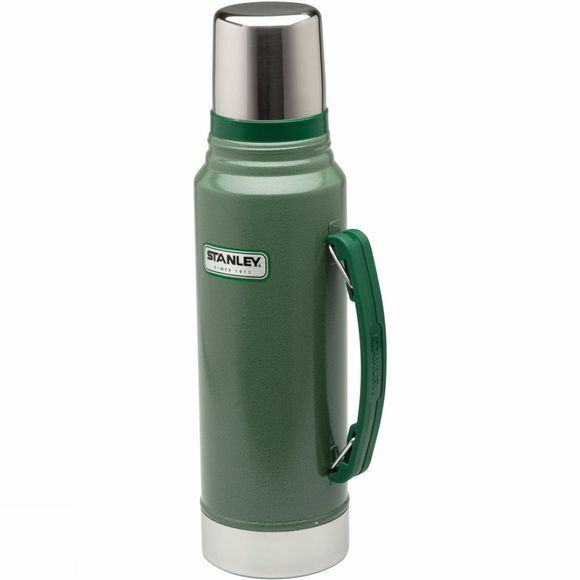 The Stanley's Classic Vaccum flask is one of their rugged, durable products that have benefited from knowledge handed down from generation to generation for over 90 years.Features Unbreakable Char-vac barrier preserves the functionality of the product even after dropping. Double Wall the double walled insulation on both the jar and cup ensures a long lasting effect of either keeping food hot or cold. Easy Pour stopper, for easy pouring.